Today I’m going to write about first person shooters for the Amiga. This may come as a surprise to some people, but the several Doom-clones were released for this computer back in the 90’s. People in the gaming industry back then said that the Amiga would never (at that time) be able to cope with texture-mapped based games. They were wrong.. Developer teams, including Team 17, went all-in and showed the world that the Amiga was still full of potential. 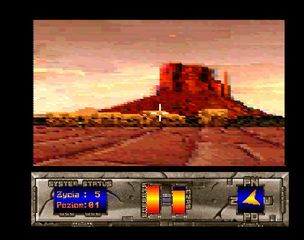 In this post, you’ll find an overview of the various first person shooters that are available for the Amiga. I’ve sorted them into two categories, native and ported. I’ve covered the native ones in detail, but I’ve only made a short list of the ports. Please keep in mind that the games below are for classic Amiga systems, not next-generation machines. If there is a game that is missing from the list, please leave a comment, and I’ll add it as soon as possible. Thanks. I’ve also included download links for the native games. These links will take you to the host-site in a new tab. 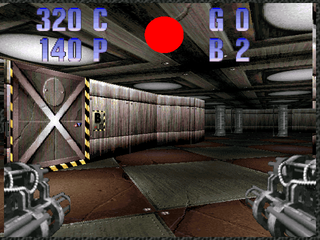 This is one of the first commercial texture-mapped shooters for the Amiga. It was developed by Team 17, a company famous for the games like Project X, Superfrog and Speris Legacy. 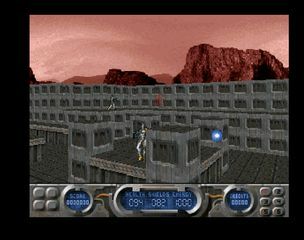 Alien Breed 3D was popular among gamers and it received splendid reviews in various magazines. CU Amiga and Amiga Format gave it 93%, The One 94% and Amiga Power 91%. I’ve written a review of the game, which you can find here. The Killing Grounds is the sequel to Alien Breed 3D. The expectations to this game were extremely high among Amiga magazines and users back in the 90’s. This was going to be a Doom-beater! Sadly it didn’t deliver as much as everyone had hoped. It received both good and bad reviews. Amiga Power gave it a measly 54%, while CU Amiga rated it 92%. Personally I think it is an average first person shooter. It has good graphics and the atmosphere is decent enough. You need a fast Amiga (or WinUAE) to play it as intended though.. it was a bit sluggish on my old Amiga 1200 with a 68030 turbo-card. One positive aspect of this game is that it works fine on low-end Amiga machines. The 3D engine feels pretty smooth, but unfortunately the lack of variety in textures makes it very monochromatic. It can be difficult finding your way through the mazes sometimes and that can be frustrating. It’s worth mentioning that your arsenal in this game is impressive.. lot’s of cool firearms to find. 🙂 I didn’t enjoy the game much though and prefer the likes of Alien Breed 3D and Gloom. Still, it’s worth a try. You might like it! Now this is a feast for the eyes! Breathless takes your “breath away” with its wonderful graphics. I remember that it looked absolutely fabulous when it was released, but surprisingly it looks fine even today! The gameplay is not bad either, so this one is highly recommended. It’s worth noting that Breathless received favourable reviews in various magazines, like 95% in Amiga Format and 92% in CU Amiga. Be sure to have a turbo-card ready though, so that you experience it in full glory. 😉 Try it, you won’t regret it! I’ll have to be honest here.. I’ve never played this game properly. I might have given it a try years ago, but I’ve forgotten all about it. As far as I can see from screenshots on the Internet, it doesn’t look bad when it comes to graphics. Don’t know about the 3D engine though, but it is supposed to work on an Amiga 500 with 1MB of RAM. That means that it should be playable on a stock Amiga 1200. It received average reviews, with the highest score being 85% in CU Amiga and the lowest being 67% in Amiga Power. I pre-ordered this game in 1995 and looked forward to it with all of my heart. Imagine my disappointment when I ran the game.. it sucked.. 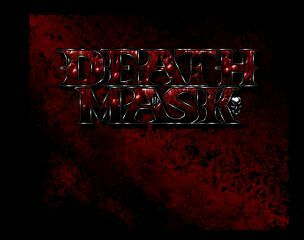 There is so much wrong with Death Mask that I don’t know where to start. The only positive thing going for it is the two-player split-screen mode, but that is ruined by the awful controls. I can’t recommend this game to anyone. Sorry. If you’re interested in demos, you might have heard about a group called Bomb. They won the demo competition at The Party 1996 in Denmark with a demo called Shaft 7. What you might not know is that these guys are the ones behind Fears on the Amiga. It’s therefore not surprising that the 3D engine in this game is quite good and functional on a stock Amiga 1200. The gameplay is another story. I can’t help it, but the game just doesn’t “drag me in”.. it’s a bit dull to be honest. You are better of with the likes of Gloom that provides you with fast and furious action. That said, I must point out that there is nothing wrong with Fears when it comes to the technical stuff, it’s just not much fun. Good golly Miss Molly! This is, in my humble opinion, one of the best first person shooters on the Amiga. Nice looking graphics, cool effects and many interesting features. 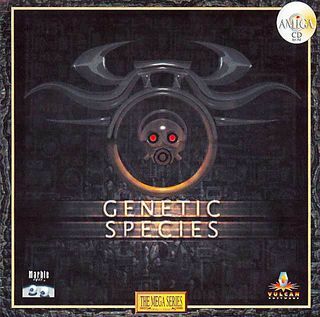 In Genetic Species you play the role of a Bioshifter. This means that you can take over the bodies of humans, cyborgs and droids and inherit their skills and weapons. This is a feature I’ve yet to see in other Amiga games. Genetic Species needs quite a powerful machine to work properly though, such as a 68060-powered Amiga 1200. Highly recommended! 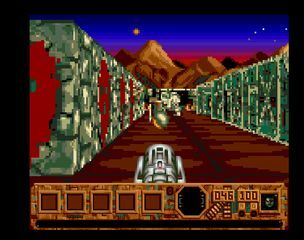 This is one of my favourite first person shooters on the Amiga. I’ve written a review about it earlier. You can find it here. 🙂 A must! This is the deluxe version of Gloom with many improvements. One of the first you’ll notice is that you have a gun in front of you. 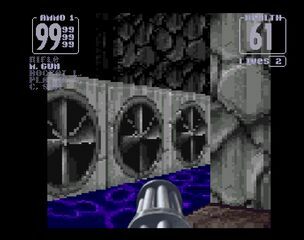 I missed that feature in the first version of Gloom and I was glad to see that they had implemented the gun in this one. The graphics are also much better. Now you can play full-screen 1×1 and the textures are well made. Great stuff and highly recommended. If you like fast and furious blasting, this is for you.. I tried this game for the first time today. The graphics didn’t look very good and it was not much fun to play either. 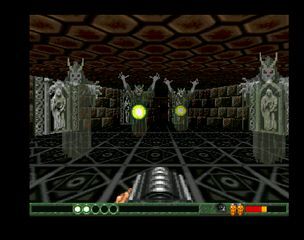 The aim of the game is to kill a certain amount of monsters to be transported to the next level, which is a bit different from other games in the genre. Can’t recommend this one I’m afraid. Here’s another rare game that I’ve never tried before. It is completely in Polish, so I can’t understand what it’s really about. It was slow on my configuration and the AI was pretty bad. One of the first opponents got stuck behind a barrel right away. Not recommended. Testament is a bit limited when it comes to controls, as you can’t jump or crouch. 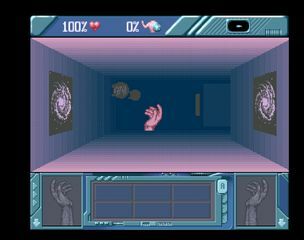 All levels are on one floor, so no stairs or passages leading up or down like in Alien Breed 3D. 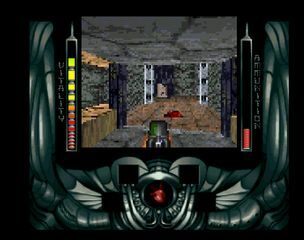 The game is therefore not as advanced as others in the genre. The 3D engine is quite fast though, and the game itself is easy to get into. It is also a bit atmospheric (dark and scary). Not the best first person shooter for the Amiga, but far from the worst. Amiga Format awarded it 92%, which is a very good score. I’m sorry, but this game doesn’t do it for me. It has both bad graphics and lack of gameplay. Avoid. It’s Doom.. the legendary first person shooter. Can’t beat the feeling! Crowds went crazy when this game was ported to the Amiga. It even works well on a 68030 powered machine! 🙂 A must try. 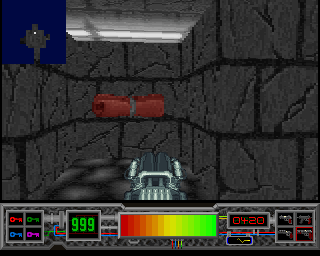 I haven’t tried the Amiga conversion of Duke Nuke’em. If it plays like the original it should be fun. You’ll probably need some serious hardware to run it properly though. 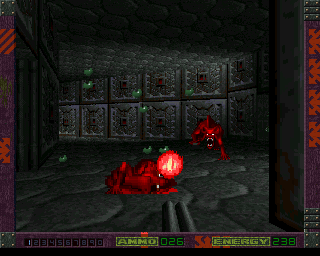 This is not an open source conversion, but a full-blown port of Quake optimized for the Amiga. 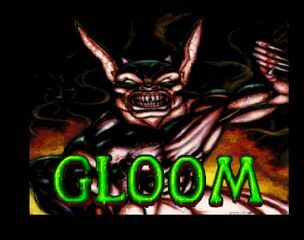 clickBOOM did a good job on this one and it was probably expensive for them to buy a licence from ID Software. If you’ve got a high-end machine, you should definitely give it a go. Wolfenstein 3D is like the father of first person shooters. Great action. It’s cool that it is available for the Amiga as well. The only thing I’d like to put my finger on is the speed. It’s a bit slow, even you’ve got a decent CPU. It’s probably possible to optimize it more for the Amiga. 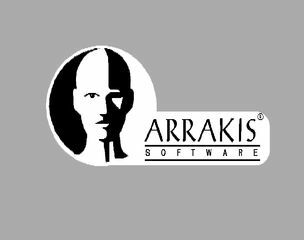 I’d love to hear your opinion about the different FPS games for the Amiga. Please leave a comment below, it is much appreciated. 🙂 What are you favourite FPS games for the Amiga? I wish I could say I have a favorite game, but I have never owned an Amiga, couldn’t afford them at the time. Fantastic list of games and a great post. i’ve not heard of most of these late Amiga games apart from Gloom/Alien Breed as it’s around this time that I was lured way from the Amiga by the likes of early DOS games like Doom, X-Wing and…er hmm, Rebel assault 🙂 ….well, it was Starwars! Sadly, I’m still on a stock A1200 so most of them will be out of my reach. However, WinUAE will at least let me sample some of them until I head on down to RCM after Christmas. Keep up the good work, loving your blog. Since you have a stock Amiga 1200, most of these games won’t run very fast, but they will of course be playable. Som fast-RAM will do wonders though. 😉 WinUAE will serve you well – all games run smoothly through emulation. Nice post! A lot of great and new information. Thanks mate! 🙂 Glad you liked it! Great post – didn’t know there were so many impressive FPS games on the Amiga! Looked up some YouTube videos for some of them too, Trapped 2 in particular looks impressive! Wow, I didn’t even realise that there were that many FPS for the Amiga! Impressive!! Hi mate! Thanks for the comment. 🙂 I agree it is impressive. All of them run smooth through WinUAE, so it is definitely worth checking them out. Many thanks for commenting. 🙂 I’ll see if I can get the list updated with your suggestions. Thanks again. Great list, but you missed a couple native games: Trapped (prequel to Trapped II) and Project Battlefield (prequel to Project Intercalaris). Many thanks for the information. I will update the list this weekend! Right now I’m watching the game-play of Project Battlefield on YouTube. 🙂 Cheers! Hi Borek! Thanks for your info. I’ve included it in the post. I saw the game was just credited with Virtual Design. Cheers! 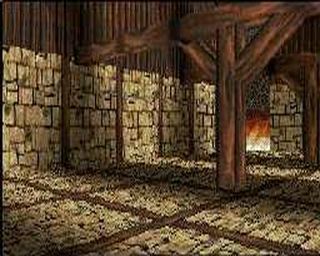 There was I think german fantasy fpp called Kargon for OCS, it had split screen for up to 4 players who would use different spells to fight it out, there was even spell to make or destroy walls.